a. Resident students enrolled in District schools in grades kindergarten through eight who reside more than two miles from their attendance centers. b. Resident students enrolled in District schools in grades nine through twelve who reside more than three miles from their attendance centers. c. Resident students enrolled in District schools who live less than these distances from their attendance centers if approved by the Superintendent because of safety or other good reasons. In such cases, the District may charge the parents or guardians the pro rata cost of the transportation. d. Resident students enrolled in nonpublic schools on the same distance basis, provided the District may contract with other agencies to provide the transportation. e. Resident students who require special education or accommodations who are assigned by the District to programs outside of the building attendance area in which they reside or whose IEP’s or 504 plans designate transportation as a related service. Transportation to and from a special education support service shall be provided if specified in the child’s IEP. 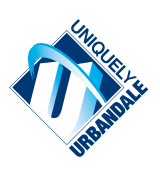 f. Resident students attending public school in another district contiguous to the Urbandale District pursuant to the Open Enrollment Act may be transported to a stop in the other district if the student meets the economic eligibility requirements established by the Department of Education. g. Nonresident students attending District schools pursuant to the Open Enrollment Act may be transported to school from a stop within the District and from school to a stop within the District. Reimbursements. Parents and guardians may be reimbursed for transportation in amounts set by state law in lieu of District-provided transportation for their students. There must be mutual agreement between the District and the parents or guardians for reimbursement in lieu of District-provided transportation for a student receiving transportation pursuant to an IEP. Exceptions. A student attending a school building other than the school building in the building attendance area in which the student resides because of a request by a parent or guardian shall not be entitled to District-provided transportation. Routes. The Superintendent of Schools or his/her designee shall be responsible for establishing bus routes. Routes shall be determined after considering the number of students to be transported in each area of the District, the seating capacity of the vehicles, the distance to be traveled, safety factors, efficiency and economy of the routes, and such other factors as deemed pertinent. The Superintendent of Schools or his/her designee may adjust routes as deemed necessary. Loading and Unloading Points. Resident students may be required to load or unload at points of not to exceed three-fourths of a mile from the students’ residences. Buses shall not leave public roads to receive or discharge students except for safety reasons or if the private road is maintained in the same manner as a public road and in accordance with directives established by the Superintendent on his/her disignee. Measurement. Distances to school or to a bus route shall be measured on the public highway only, starting in the roadway opposite the private entrance to the residence of the pupil and ending in the roadway opposite the entrance to the school grounds or designated point on the bus route. Drivers. School buses shall be driven only by persons holding proper driving licenses and permits from the Iowa Department of Education and the Iowa Department of Transportation. Drivers must have sufficient physical capability to operate the bus effectively and to render assistance to passengers in case of illness or injury. Drivers shall comply with all state driving laws and with rules and regulations of the District and of the private contractor. Drivers must be insurable under the District’s or private contractor’s liability coverage. Drivers must comply with all drug and alcohol testing procedures. All bus drivers must have completed first aid courses and safe driving instruction offered by the Department of Transportation within six months of date of hire and every twenty-four months thereafter. Bus drivers shall be subject to background checks upon initial employment and every five (5) years thereafter as required by Iowa law. Scheduling Use of Vehicles. All arrangements for the use of vehicles for District field trips and co-curricular activities shall be approved by the Superintendent. Such activities must be under the direction of a District-approved sponsor. Inclement Weather. The Superintendent of Schools or in his/her absence an approved designee, shall determine when transportation services shall be suspended or delayed due to inclement weather, road conditions or other factors, which in his/her judgment are deemed unsafe. The Superintendent of Schools or in his/her absence an approved designee, shall determine when conditions are such that students should be returned home at a time other than that regularly scheduled. In the event transportation services are delayed, cancelled, or altered, parents and guardians will be notified by commercial media stations. Reduced Visibility. When weather conditions create a situation where the driver has less than 300 feet of visibility at a stop, the driver should immediately report the situation by bus radio for instructions. If a decision is made not to receive the students at the stop, a telephone call shall be made to the parents. If the students cannot be picked up, it shall then be the parents’ decision on whether to send the students to school and the parents’ responsibility to transport the students. If the students cannot be discharged at the stop, the parents shall be informed of where the students shall be discharged. If the parents cannot be reached, the students shall be transported back to the school. Once vehicles are on the road, the drivers are to use their best judgment whether to stop at a particular stop, keeping utmost in mind the safety and well-being of their passengers. Buses. The District shall use only those buses inspected and approved by the State of Iowa. Conduct. Passengers shall comply with all policies and rules regarding behavior. Transportation privileges may be suspended or revoked for failure to comply with District rules. Reporting Failure to Stop Incidents. All bus drivers shall report any vehicle which fails to stop for a bus when warning lights are flashing and the stop arm extended. District officials shall report said violations to law enforcement officials. Contracting. The District’s policy is to contract with a private party for providing transportation services. Such contract shall be on an annual basis, shall be in writing, may be terminated upon 90 days notice, and shall comply with other requirements outlined by law for private transportation services. Every person in charge of a vehicle shall be at all times subject to District policies, rules and regulations governing the protection of students. Video Cameras. Video cameras may be placed on school buses to monitor student behavior and driver conduct. The video shall be treated as confidential when and to the extent required by applicable law. The film may be used as evidence in a student or employee disciplinary proceeding. The administration shall adopt regulations regarding use of video cameras and the corresponding film. Complaints. Complaints by a student, parent or guardian regarding transportation shall be brought under the student complaint procedure. Appeals may be taken to the area education agency pursuant to law. Legal References:235A, 235B, 256B.2, 256B.4(5), 279.8, 279.12, 280.14, 282.18, Chapter 285, Chapter 321, 730.5, Code of Iowa; 281 I.A.C. 41.34, 41.412, Chapter 43, Chapter 44; Omnibus Transportation Employee Testing Act, P.L. 102-143, 105 Stat. 952 (1991), 41 U.S.C. 701-707; 49 C.F.R. pt. 40.